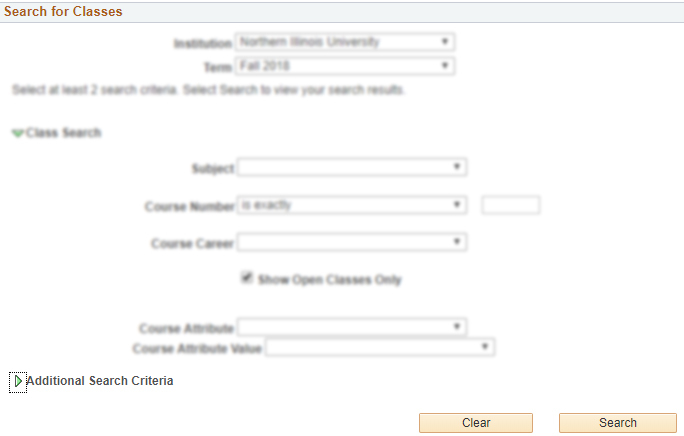 Visit the MyNIU course search page. Click on "Additional Search Criteria". 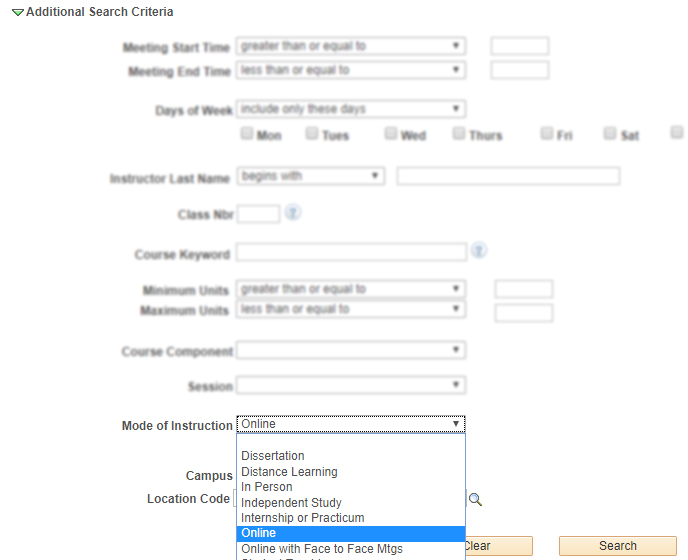 Once the Additional Search Criteria are expanded, select "Online" from the "Mode of Instruction" dropdown. Try it now on the MyNIU course search page.